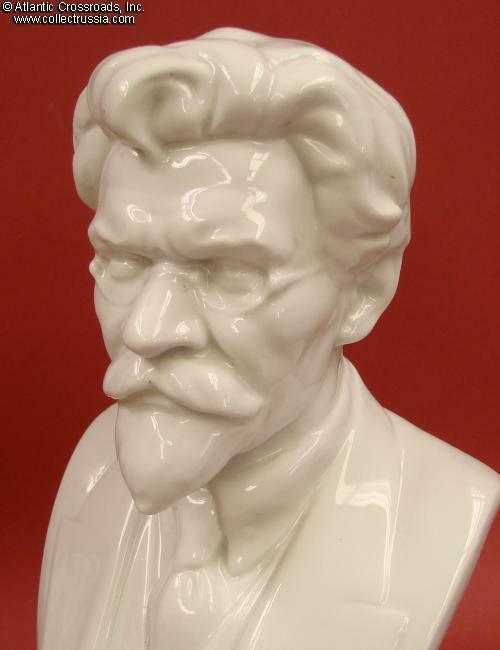 Mihail Kalinin, bust in glazed porcelain, Lomonosovskiy Porcelain Factory (LFZ), circa late 1940s. Measures 13" tall, approx. 6 ¼" wide at the shoulders. 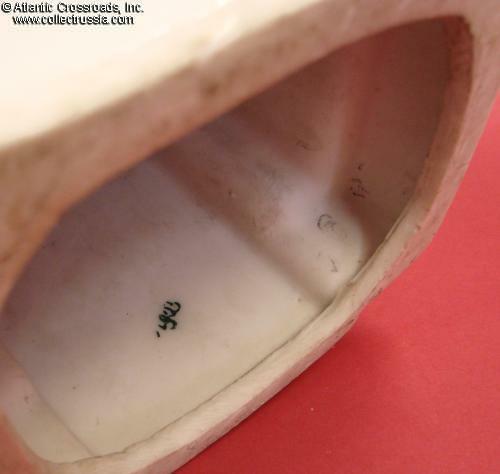 The inside base shows stamped maker mark ЛФЗ ("LFZ") of the type used by the Lomonosov Factory in the late 40s /fig. 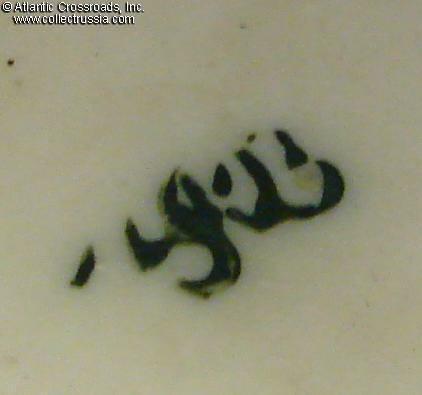 484 in Volume One of "Marks on Soviet Porcelain, Faience, and Majolica, 1917-1991" /	. 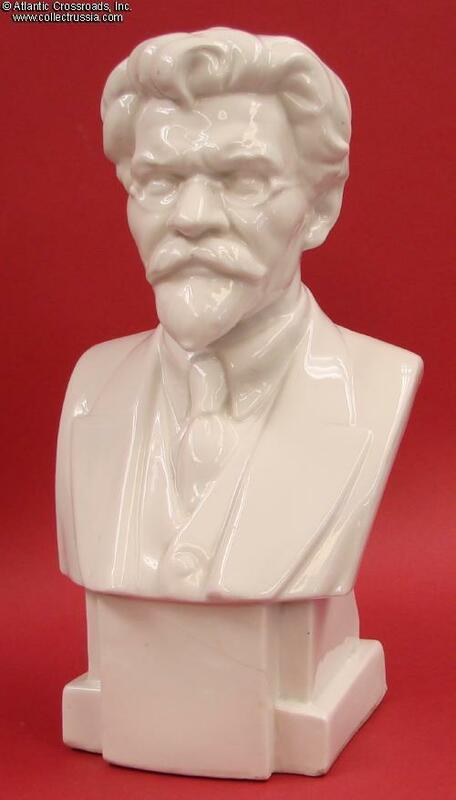 The attractive gloss of the glaze finish, clean white tone of the porcelain and overall high quality of the bust are typical of the LFZ manufacture. 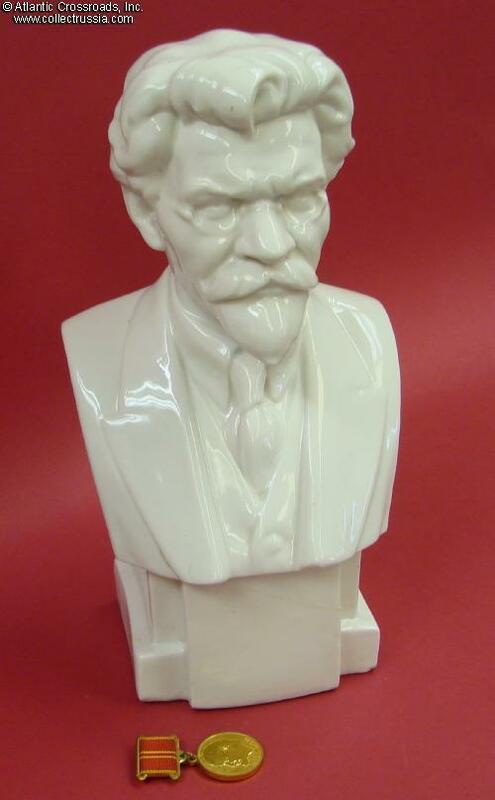 Although the name of the sculptor does not appear anywhere on the bust, the original model for it was made in the late 20s by Matvei Manizer, one of the most acclaimed Soviet sculptors. The artwork is indeed exceptionally well done: note the piercing and determined stare of the "All-Russia's Elder". 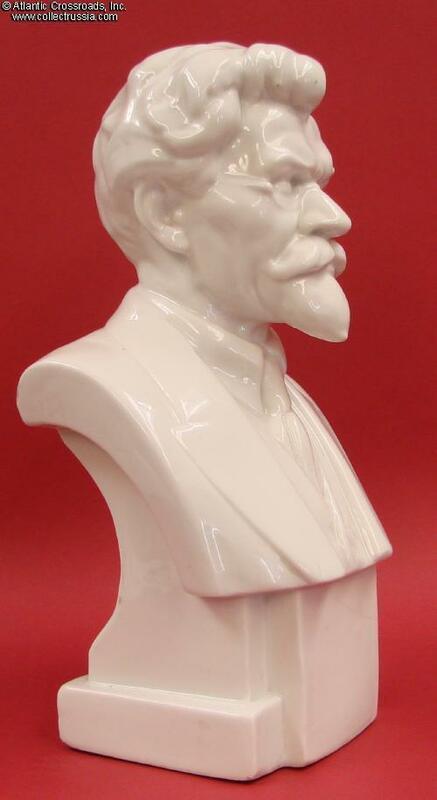 His goatee, frowned eyebrows and rims of the glasses create the iconic image which was just as familiar to at least the early generations of Soviet citizens as that of Stalin and Lenin. 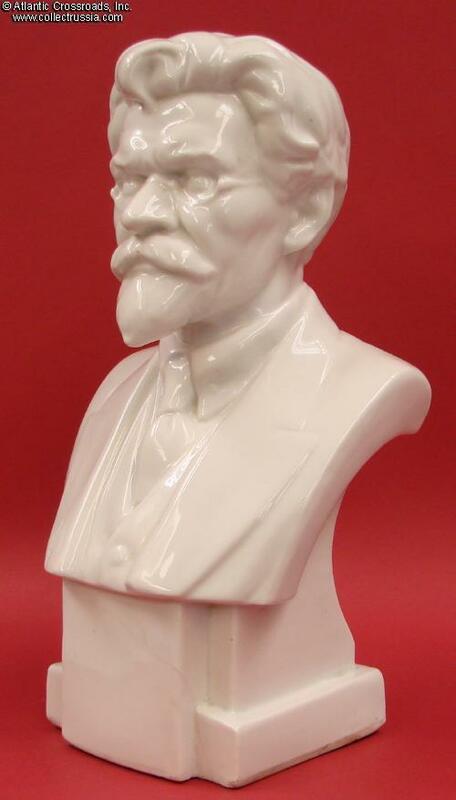 The bust is in very good condition. 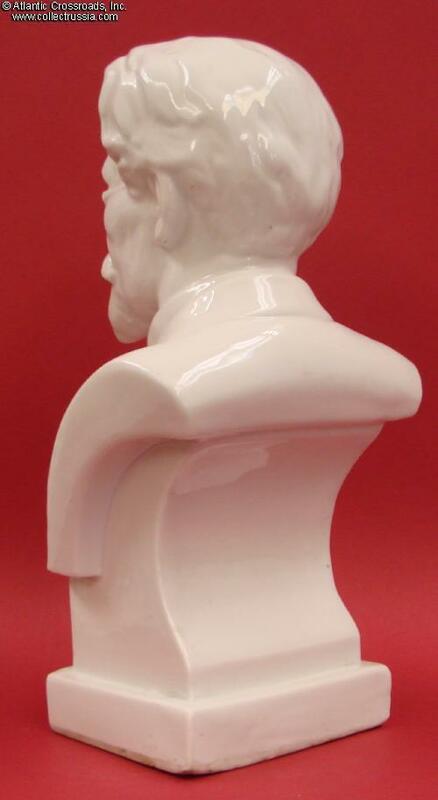 There is an old hairline crack across the plinth which does not threaten the integrity of the statuette. 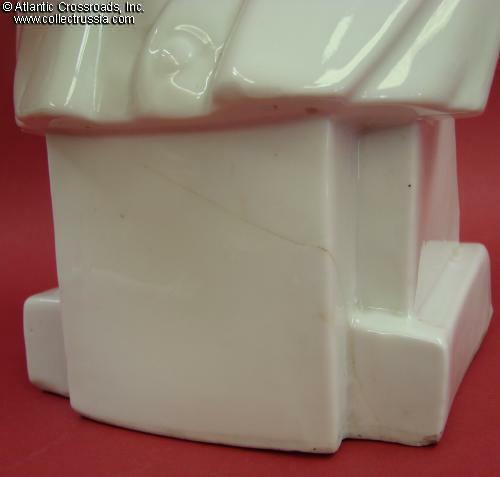 The glaze is well preserved; there are only very minor chips and scuffs near the bottom edge that inevitably come from normal use. A very rare and presentable early piece.